PALO ALTO, California – Four University of Colorado Colorado Springs students were recently named University Innovation Fellows by the National Center for Engineering Pathways to Innovation. The UCCS students, all currently enrolled in the Bachelor of Innovation Program, were among 150 students representing 52 U.S. institutions of higher education selected for the prestigious program based at Stanford University. “The selection as University Innovation Fellows provides these UCCS BI students the opportunity to interact with leading students across the country to further their innovation and entrepreneurial experiences and build a broader network of peers,” Terry Boult, El Pomar Endowed Chair of Innovation and Security and the students’ nominator, said. Preston Hare, Fishers, Indiana. Hare is a junior Bachelor of Innovation business administration major specializing in globalization. He is a graduate of Hamilton Southeastern High School. Kyle Harmande, Colorado Springs. Harmande is a junior Bachelor of Innovation business administration and marketing major specializing in globalization. He is a graduate of Air Academy High School, Colorado Springs. Courtnie Kuecker, Colorado Springs. Kuecker is a junior Bachelor of Innovation business administration and marketing major specializing in globalization. She is a graduate of James Irwin Charter School, Colorado Springs. Javier Rose, Fountain. Rose is a senior Bachelor of Innovation business administration major specializing in creative communication. He is a graduate for Fountain-Fort Carson High School. The University Innovation Fellows work to ensure that their peers gain the knowledge, skills and attitudes required to compete in the economy of the future and make a positive impact on the world. The fellows create opportunities for students to engage with innovation, entrepreneurship, design thinking and creativity at their schools. They design innovation spaces, start entrepreneurship organizations, host experiential learning events and work with faculty to develop new courses. Students who joined the program in the 2014-15 academic year held 112 events and established 35 spaces at their schools. Individual fellows as well as institutional teams of fellows are sponsored by faculty and administrators and selected through an application process twice annually. Following acceptance into the program, schools fund the students to go through six weeks of online training and travel to the University Innovation Fellows Annual Meetup in Silicon Valley, California. Throughout the year, they take part in events and conferences across the country and have opportunities to learn from one another, Epicenter mentors, and leaders in academia and industry. Boult attended some of the online meetings with UCCS University Innovation Fellows and said he was not surprised to see the UCCS students emerge as leaders in the program. Learn more about the University Innovation Fellows at http://universityinnovationfellows.org. 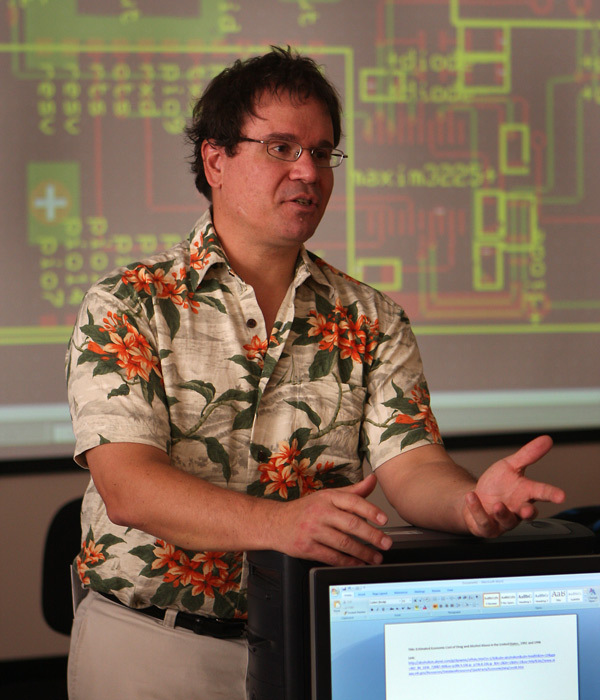 Approved in 2006, the UCCS Bachelor of Innovation family of degrees is an internationally unique interdisciplinary undergraduate program with majors offered across four colleges at UCCS: College of Engineering and Applied Science, College of Business, College of Education and College of Letters, Arts and Sciences. Each Bachelor of Innovation degree is composed of a major, an innovation core and one of four cross-discipline cores. Students hone their innovation and entrepreneurial skills through hands on work on real projects for real clients. For more information, visit http://innovation.uccs.edu. The University of Colorado Colorado Springs, located on Austin Bluffs Parkway in Colorado Springs, is one of the fastest growing universities in Colorado. The university offers 39 bachelor’s degrees, 20 master’s and five doctoral degrees. UCCS enrolls about 11,300 students on campus annually and another 2,000 in online programs. For more information, visit www.uccs.edu.